The name gokhru derives from the appearance of the fruit, which resembles the cloven hoof of a cow. 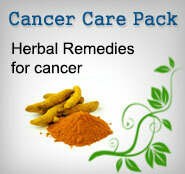 It is a component of several Ayurvedic preparations and is used worldwide for many different applications. The plant grows throughout India, China, Vietnam, parts of Europe and South Africa on wasteland. This product has its roots in Ayurveda-ancient herbal healthcare system of India. According to Ayurveda the balance of 3 energies- Vata, Pitta and Kapha (Kinetic, Thermal and Potential energy) in the body is a disease free state whereas their imbalance causes diseases. Continuous stress leads to imbalance of Vata and consequently other energies. The herbs in this product act synergistically to control vitiated Vata", therefore acting on the root cause. Herbs in Tribulus Power: Tribulus Power is purely a herbal formulation without any chemicals added into it. The ingredients are frequently used in Ayurvedic system of medicine since 5,000 B.C. without any side effects. It is a thorny, perennial, trailing plant, up to 90 cm in length. The leaves are composed of 5-8 pairs of leaflets, subequal and oblong. Flowers are solitary and pale yellow in colour and the fruits are globose, each with two pairs of spines, one pair longer than the other, with five woody cocci each containing several seeds. The roots are cylindrical, 10-15 em long, light brown and faintly aromatic. The fruits are used for many purposes, including as an aperient, aperitif, astringent, antiinflammatory, emmenagogue, stomachic, tonic, diuretic, alterative, galactagogue and aphrodisiac. They are used in bladder disorders as a diuretic and to treat urinary calculi and for hepatitis, rheumatism and skin complaints including psoriasis, leprosy and scabies. 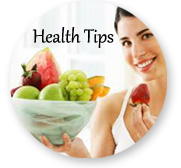 The seeds are astringent and diuretic and are sometimes given to women to aid fecundity. The fruits and whole plant are used in bloody dysentery, urinary disorders in ruminants and rheumatism. The fruits yielded protodioscin, the terrestrosins A-E, desgalactotigonin, F-gitonin, desglucolanatigonin, gitonin and other tigogenin and furostanol glycosides together with ?-Sitosterol, spirosta-3,5-diene and stigmasterol. The flowers also contain steroidal sapogenins based on diosgenin, hecogenin and ruscogenin. Kaempferol and quercetin are present in the flowers. Tribulusamides A and B have been isolated. Antiurolithitic activity: An ethanolic extract of Tribulus terrestris provided a strong, dose-dependent protection against calculus formation induced by glass bead implantation in albino rats. The activity was traced to the aqueous methanolic fraction.s The litho lytic effect was also studied in rats where hyperoxalurea had been induced and maintained by hydroxypyroline and sodium glycolate. Oral administration of an aqueous extract caused urinary oxalate excretion to reverse to normal within 21 days of administration and it remained so until 15 days after withdrawal of the extract and sodium glycolate: Another study confirmed these effects of Tribulus terrestris extract and a possible mechanism was proposed: inhibition of the enzyme glycolic acid oxidase (GAO) which catalyses the conversion of glycolate to glyoxylate. GAO activity results in the oxidation of glycolic acid to glyoxylate, which is a potentially toxic metabolite, and finally to oxalate. The aqueous extract of Tribulus terrestris has also been shown to have a high potassium content which may be responsible for the diuretic effect. Nephroprotective activity: The renal damage produced by gentamicin was decreased when given simultaneously with Tribulus terrestris extract to rats. Antimicrobial activity: Extracts of the fruit and leaf of Tribulus terrestris were active against Escherichia coli and Staphylococcus aureus. Cardiac stimulant activity: A semipurified aqueous fraction had a potent stimulant effect on isolated heart muscle. An increase in the force of contraction, together with a negative chronotropic effect, was noted.Saponins isolated from Tribulus terrestris resulted in dilation of the coronary artery and improved coronary circulation in patients suffering from coronary heart disease. Fertility potentiating activity: Furostanol biglycosides isolated from the alcoholic extract stimulated spermatogenesis and Sertoli cell activity in rats. Terrestrioside-F increased libido and sexual response in male rats, and potentiated oestrus and increased fertility in female rats. Management of sexual dysfunction: Protodioscin is thought to improve sexual desire and enhance erection via the conversion of protodioscin to DHEA (dehydroepiandrosterone). However, the plant does not consistently produce protodioscin. A study was conducted to investigate the effect of Tribulus terrestris extract on isolated corpus cavernosum tissue of rabbits to determine the mechanism by which protodioscin exerts its effects. The extract was administered orally, once daily, for a period of 8 weeks, in varying doses. The rabbits were then sacrificed and their penile tissue isolated to evaluate responses to pharmacological agents and electrical field stimulation. The relaxant responses to acetylcholine, nitroglycerin and EFS compared to their control values, and the lack of effect on the contractile response to noradrenaline and histamine, indicated that protodioscin has proerectile activity, which may account for its claims as an aphrodisiac. This may be due to an increase in nitric oxide release from the endothelium and nitrergic neurons. Cytotoxicity: An ethanolic extract was tested on FL-cells using the neutral red assay and was found to be active. The maximum tolerated dose of a 50% ethanolic extract of fruit was 100 mg/kg in rats. Where to Buy Gokshura Powder?